Illinois Central College will offer a spring session of its course to prepare individuals for employment as a pharmacy technician. The pharmacy technician course is 12 weeks of classroom instruction, which will give students a solid foundation in the skills necessary for employment as a pharmacy technician and will prepare students for the Pharmacy Technician Certification Board (PTCB) Exam. The pharmacy technician classes will be held on Mondays, beginning Feb. 25 through May 20, 2019, from 6 to 10 p.m., at Hickory Hall on the ICC Peoria Campus, located at 5407 N. University St., Peoria. Cost of the course is $1,625, and a payment plan is available. Cost includes tuition, Pharmacy Technician textbook and workbook, a set of Top 100 drugs brand/generic flashcards, and a set of medical scrubs. Free informational sessions will be held on Mon. 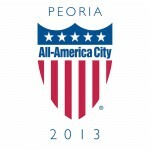 Jan. 14 at 6 pm and on Sat., Jan. 26 at 10 am in Hickory Hall on the Peoria Campus. The sessions will feature identical information. No pre-registration is required.